When we walk into an office of any kind and see the word “Reception,” we know we are in the right place. We can find out all the information we need to as well as make and cancel appointments there. The reception area is a classic staple of businesses worldwide, and just about everyone knows what they are when they see them. However, pretty soon we could see a massive reconstructing of reception areas. The reception desk could be coming to its end. With new technology being created every day, there is no telling where we will go next. Although receptionists do much more work than simply being the face of the company, many companies are switching to kiosks and other technologies to replace their receptionists. The reasons are plentiful, and we will explore them here. With hotels, restaurants, and corporate businesses worldwide making a major switch to digital receptionists, the next wave of technological advancements is upon us. There are even unmanned hotel lobbies where no receptionist is present. Instead, a kiosk greets each guest to assist them in checking into their room, acquiring their room key, and getting settled in. One of the main reasons for businesses to choose technology over human receptionists comes down to cost. With labor prices rising and technology prices dwindling, the reasons are easy to see. More technology means less cost over time. Even if the technology is pricey up front, the chances are that the cost will prove to be less expensive in the long run. For this reason, many companies are making the switch. Receptionists have a bigger impact on brand loyalty than many people realize. Being the front face of the company, a receptionist can make or break the connection between the company as a whole and a potential client or partner. Human beings are prone to error, plain and simple. And we have one thing that kiosks will never have: bad days. Just about everyone can remember a time when they were met with less than satisfactory service by a receptionist at some company. In most cases, this interaction most likely leaves a bad taste in the mouth of the client, customer, or partner. This bad taste makes for less likelihood of returning business or working with that particular company in any way in the future. Because of this, it makes sense to utilize technology that cuts down on bad interactions between two people. If the receptionist position can be handled by an easy to use, comfortable piece of technology or digital interface, then why take the risk of allowing an employee to potentially damage the company’s reputation or brand loyalty? When we take a look at it from this angle, the massive change over makes a lot more sense. Companies have very little room for error these days, and they must do whatever they can to put themselves ahead of the competition. Another way in which a digital receptionist can create a good first impression is by sheer technology itself. Picture a large tech company in which everything you do is run by machines they created. Or take, for instance, the new kiosks at fast food restaurants. These kiosks are seen as new and exciting by customers, making the particular fast food restaurants that use them more likely to see repeat business by tech-friendly customers. In a hotel, customers may be happy to deal with a machine instead of a person at the end of a long day dealing with other people all day, or after they have had a particularly bad experience with another person that day. These simple situations can make a big difference in a company’s bottom line. What Jobs Are Left for Current Receptionists? With the onset of new technologies taking over the current job of the receptionist, new broader job functions will be necessary in order to maintain the receptionist’s position. 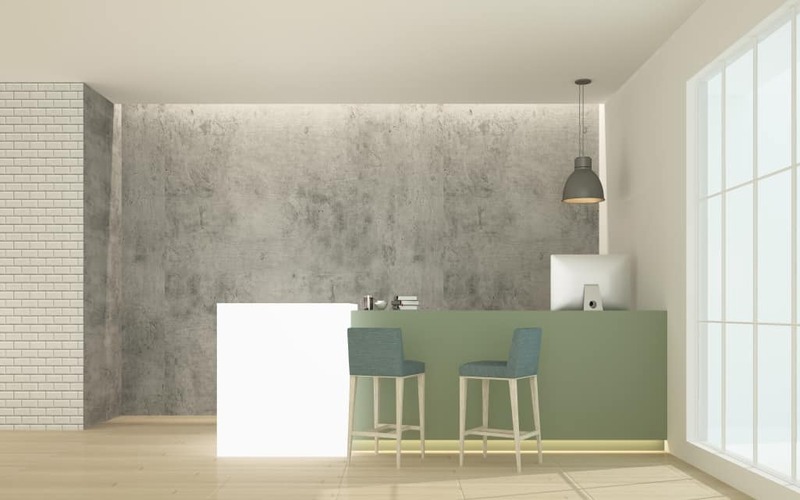 Although the reception desk may be ending, the receptionist will simply be utilized for new responsibilities and functions. As customer service masters, receptionists will most likely be moved into positions where they can either deal directly with the public or clients or where they can train others to do so. Putting a former receptionist in a position where he or she can help other employees greet and treat customers or clientele with the utmost respect and warmth makes the most sense in the long run. This will ensure that the company’s brand image stays the same throughout the technological advancements the company decides to make. Another option is to have several kiosks present and one or two receptionists available to assist customers with these kiosks and other front-end technology. This option allows for cost efficiency while still maintaining the human connection so many customers look for in this digital age. Another positive point in this scenario is the availability of direct and immediate customer service in case of any issues with the new technology being used in the kiosks. At the end of the day, many industries will be changing drastically with the onset of new technology over the next several years. Receptionist’s current positions are certainly at risk, for many reasons like cost efficiency, first impressions, and more. But the actual job of the receptionist should simply change to more involved positions including helping customers with these newly installed digital kiosks and other, more in-depth job descriptions. So receptionists need not fear the change!